The new owners of the Northern Lights Lodge are excited to invite you to come visit our family-friendly four season resort. 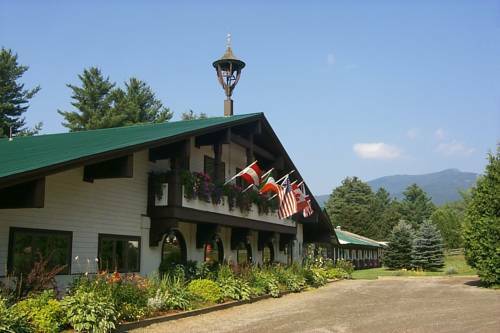 The lodge is conveniently located just down the road from the Stowe Mountain Resort, and offers spacious rooms, a hot country breakfast served every morning, indoor and outdoor pools, a sauna, a large jacuzzi, and plenty of games for the kids. Guests often enjoy relaxing along the Little River, which runs right through our backyard.We also offer a BYOB lounge with complimentary afternoon snacks, to relax in after skiing at Stowe Mountain, hiking or bicycling the award winning recreation path, or shopping on Main Street. Check-in is at 3 00 PM. Guests planning to arrive before or after this time must contact the property at least 48 hours prior to arrival to receive special check-in instructions. As a bed and breakfast property, the Front Desk hours will vary guests should contact the property to find out more information. To contact the property, use the number on the reservation confirmation received after booking. Take Interstate 89 to exit 10.Turn onto VT-100 North. Drive 9.9 miles.Turn left onto Mountain Road - VT-108. Drive 4.5 miles. The Lodge will be on your left.